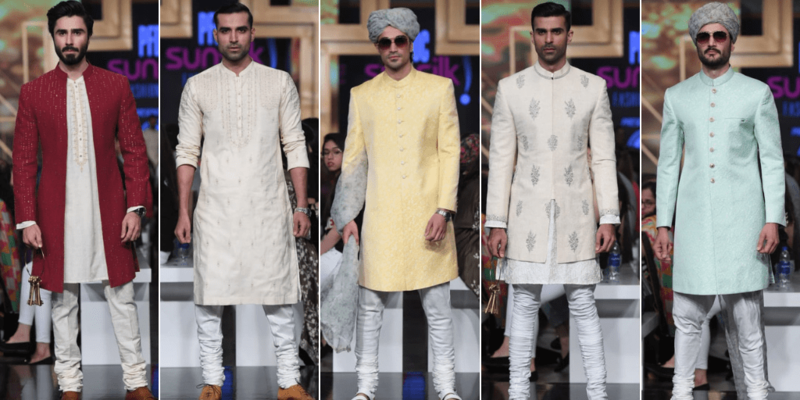 Currently, the Pakistan fashion industry is in its best trendsetting moments. 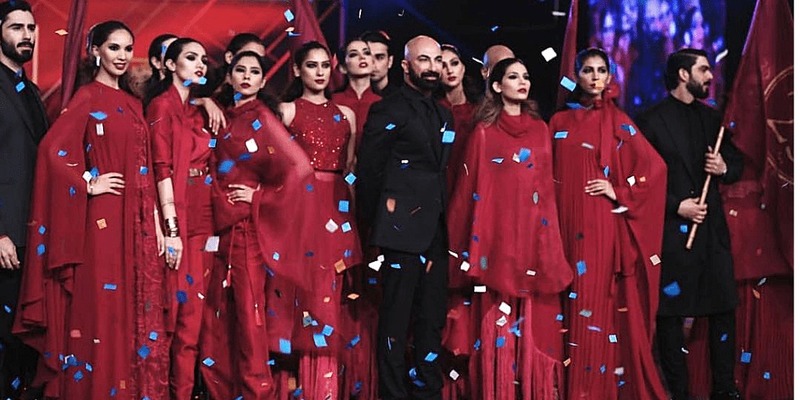 The three-day PFDC Sunsilk Fashion Week 2019 (PSFW) concluded and left us with much to admire. 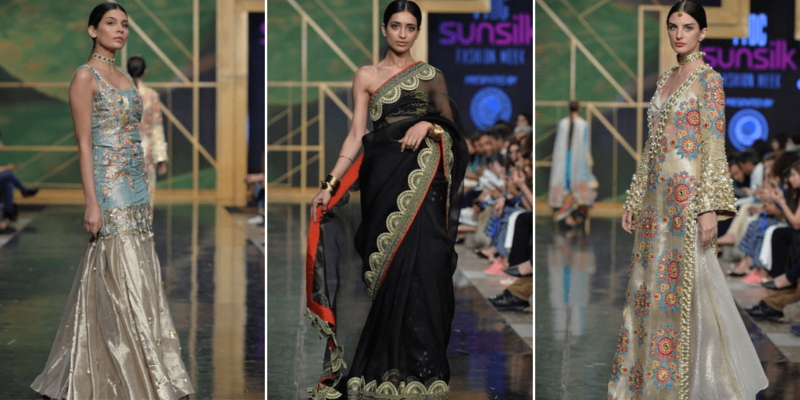 It was mostly about the couture trends, but we spotted and brought you a few of the formal fashion inspirations that are worth the splurge. We are not capturing the whole event, as we are sure that you have a gist of its splendor on Instagram. 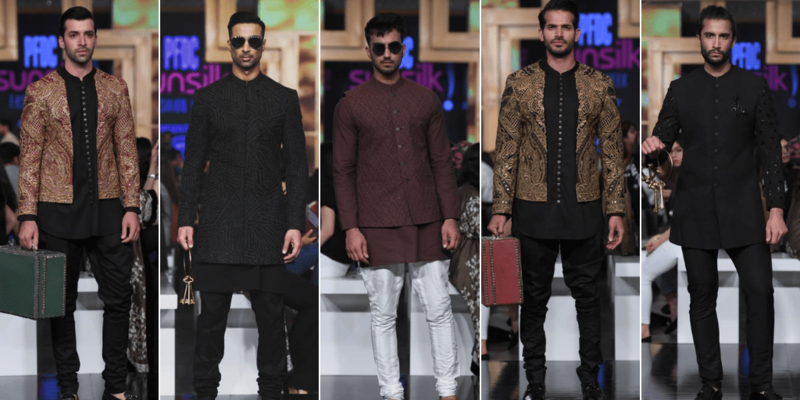 Most intriguing names of the fashion industry lined up to put up a spectacular fashion parade. Even though we are still a little confused about the various interpretations of pret in Pakistan, yet we are happy about all the variety available. 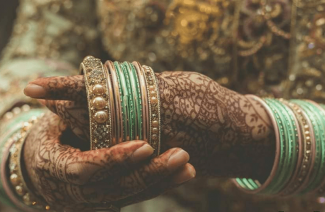 You can explore anything from a jumpsuit to a bridal lehenga. 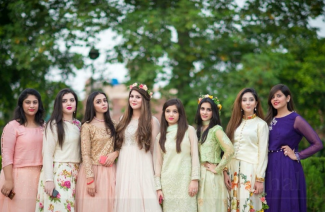 The fusion mix is about catering to every possible whim of the Pakistani women. Zara’s dress line called Adaab, like always, was elegant and truly inspired. 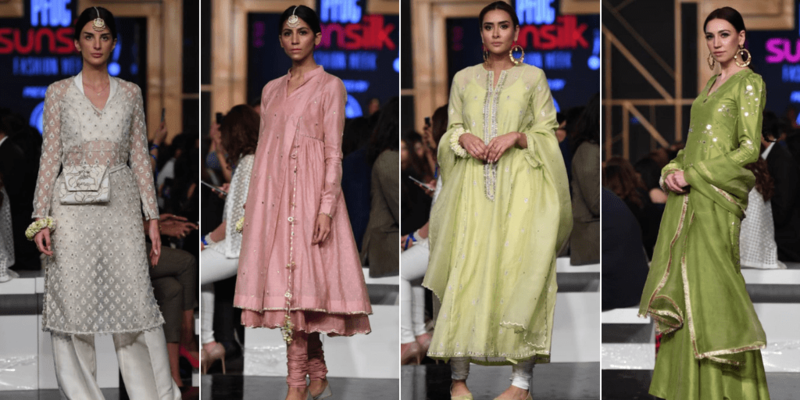 It was obvious that she was trying to revive the old world charm by working with colors like cream white, hues of pink, sage and olive greens. Her choice of fabrics was vintage inspired as well. 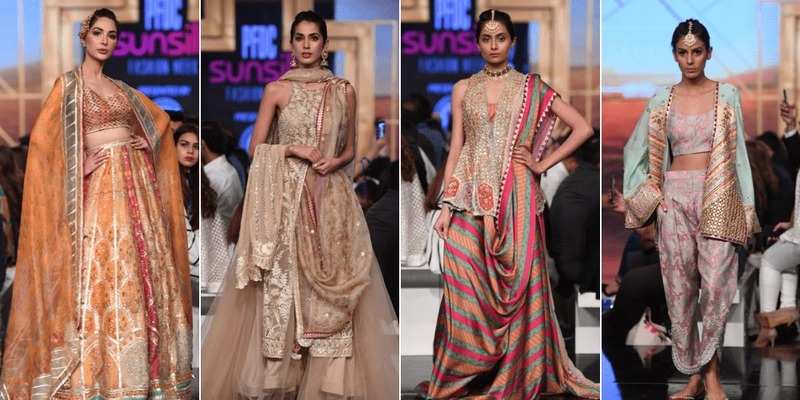 Moreover, the cuts and silhouettes were everything between old school shalwar suit to modern crop tops and shararas. 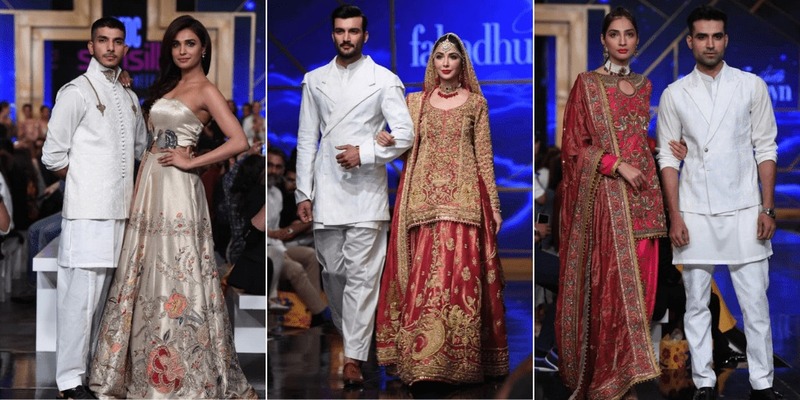 Fahad Hussayn’s collection Suraiya Titanic was an aesthetical fiasco as is the signature of the designer. It was bold, and shocking in the best possible way. The models were clad in colorful ensembles, both casual and formal. The best of the formal culture is displayed in the pictures below. You will find that Fahad was bold in his choice of colors and it played well and in a unique manner. 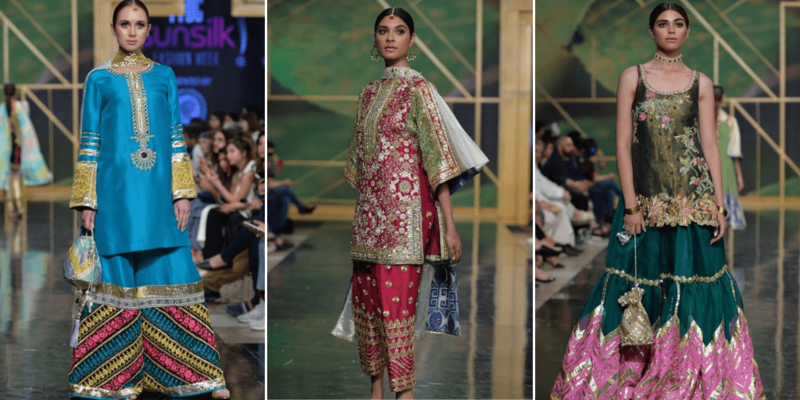 The house of Kamiar Rokni presented the collection ‘Neo-Folk’ at PSFW 2019, and as the name suggests; it was vibrant, colorful and nostalgic of the 80’s fashion. 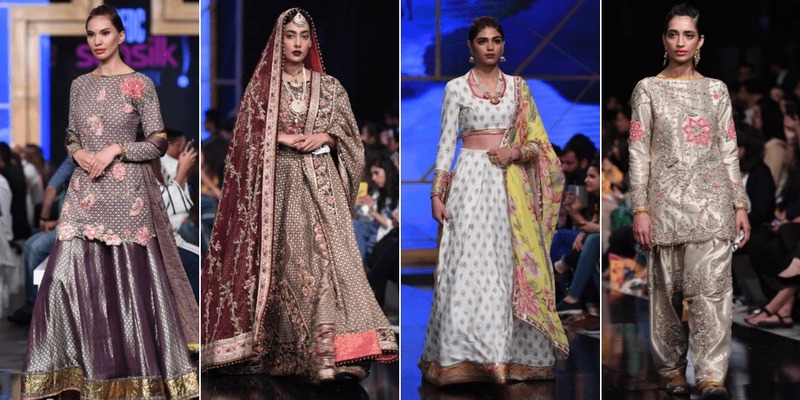 The designer introduced his affordable collection on the ramp after a long while and gave it a modern twist by placing traditional embroideries in unexpected ways. Affordable and trustworthy, you can always count on Almirah, to give you eastern outfits that are dressing goals. 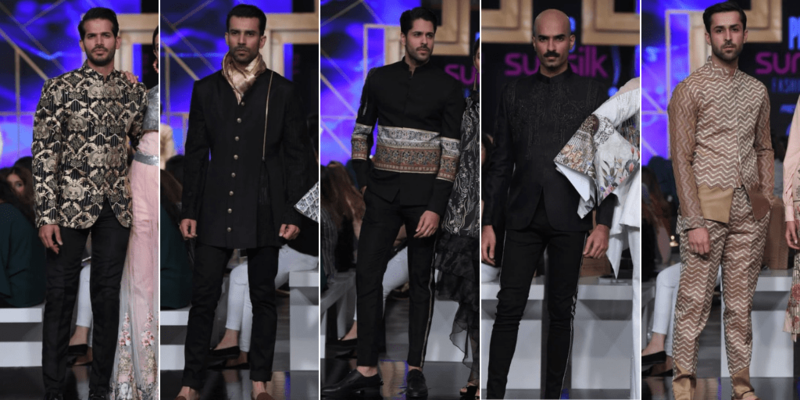 Their shalwar kameez and kurtas collection for men on the third day of PSFW 2019 was everything you hoped for, and more. 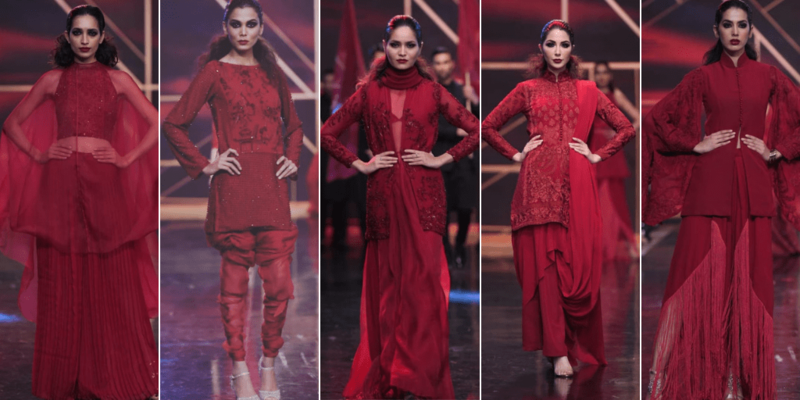 The finale of PSFW came with a bang. 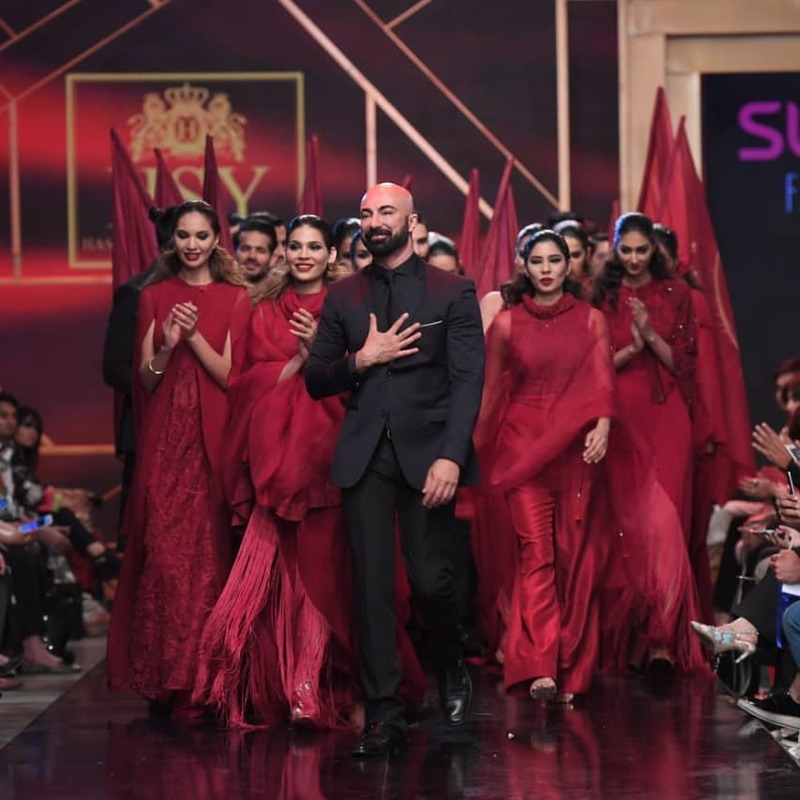 HSY dedicated a dramatic collection ‘Rani’ to his mother. The entire line was dominated by a bold red hue. They weren’t overtly embellished dresses but were of varying styles, textures and silhouettes. 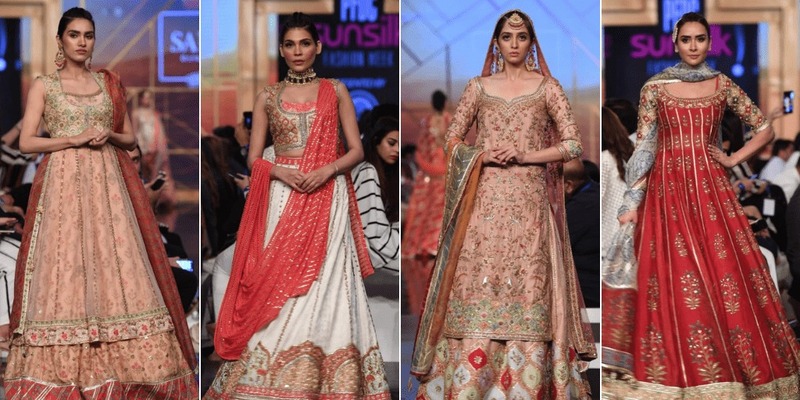 In other words, Rani was something simultaneously new, yet expected from HSY’s caliber for design. 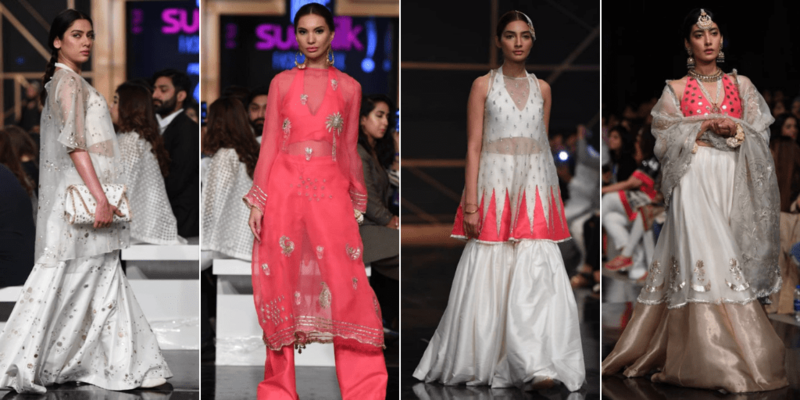 So, do you think that PSFW was all you expected? Or did you it left something to be desired? Do let us know on our social platforms.